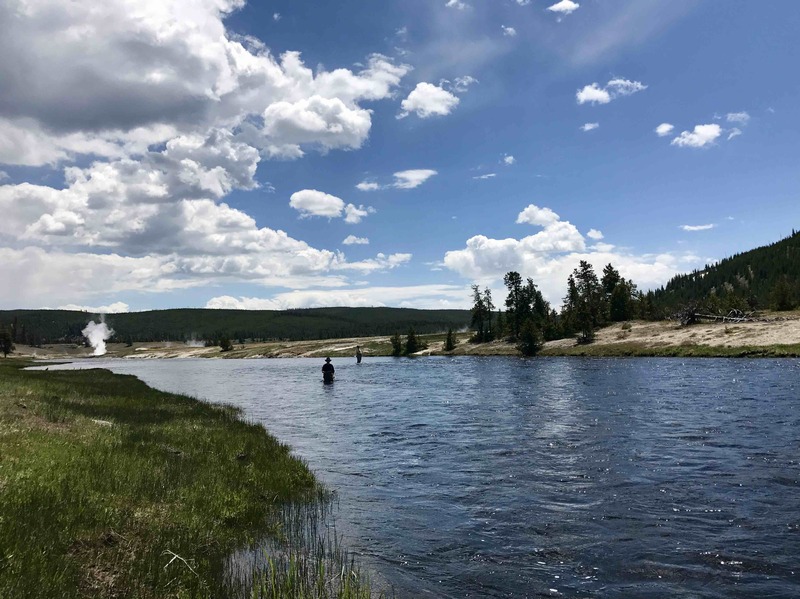 Fly fishing in Yellowstone National Park with our Montana fly fishing guides is the best way to experience the blue ribbon rivers and lakes of Yellowstone. From the famous streams to waters more off the beaten path, let the Montana Angling Company be your host, on your next trip, and share with you the ultimate Yellowstone National Park fly fishing experience. We offer guided fly fishing and custom outfitting for local and visiting anglers in, and around, Yellowstone National Park, including Bozeman, Gardiner, West Yellowstone, and Big Sky, Montana. The fly fishing season in Yellowstone National Park is as diverse as its seasons. Our fly fishing guides can be found on the water from the start of the fishing season on Memorial Day weekend, through the end of the season on the first Sunday of November. We fish all across the park: the Firehole River, Madison River, Lamar River, Soda Butte Creek, Yellowstone River, Slough Creek, Gardiner River, Gibbon River, and many of the smaller, wilder, waters. Fly fishing in Yellowstone Park is a great experience for seasoned and novice anglers alike, and a perfect family outing on every trip to Yellowstone. The rivers and lakes of Yellowstone provide great fly fishing opportunities for anglers throughout the season. Great hatches of mayflies, caddisflies, stoneflies, and terrestrials make for some of the most consistent dry fly fishing opportunities in the west. From the early season Salmonfly hatch on the west side of the Park to mayflies on the Lamar River in October, anglers can expect rising trout throughout the season. In between hatches, anglers can find excellent wet fly, nymph, and streamer fishing for wild cutthroat, rainbow, and brown trout. We generally fish the rivers near the West Entrance of the park early in the season. These rivers come into fishing shape while the rest are still in run-off, and early hatches of caddisflies and stoneflies makes for great fishing. The geyser-fed waters of the Firehole River, the Gibbon River, and the Madison River fish well through late June. By July the eastern rivers come into shape and we fish the Yellowstone River and its many tributaries including the Lamar River, Soda Butte Creek, and Slough Creek. These rivers are home to Yellowstone cutthroat trout and run through some of the wildest country in Yellowstone National Park. Fall means variety for out guides and anglers in the park. All of our rivers are fishing well. From the annual run of trophy brown trout up the Madison River to fall mayfly hatches on the Lamar River, there is something for every angler.